We are pleased to share some good news in troubling times! Through organization, collaboration, and a shared belief that change is possible, Maliki Shakur Latine just walked out of prison on parole after 37 years!! He is finally reunited with his family, friends, and community! Family and Friends of Maliki Shakur Latine would like to thank the amazing Parole Preparation Project of the National Lawyers Guild-NYC Chapter, our awesome attorney Moira Meltzer-Cohen, visionary artist Sophia Dawson, the Sekou Odinga Defense Committee, NYC Anarchist Black Cross, the Anarchist Black Cross Federation, the Jericho Movement, the RAPP Campaign, and everyone who contributed to this People’s Victory! Everyone who has written a letter of support, everyone who donated financially, everyone who shared a post or passed a palmcard, THANK YOU!!! Thank you for all of the work you do for freedom and justice! Maliki Shakur Latine’s imprisonment is over but his transition into minimum security America is just beginning. Please visit https://rally.org/maliki and donate to his release fund to help him cover the costs of basic survival needs and small comforts as he gets his footing! A few updates: the Article 78 appeal of Maliki Shakur Latine’s 2014 parole denial was unfortunately denied earlier this summer. We remain very hopeful about his 2016 parole hearing, likely to take place this October or sooner! Here are three things you can do as the day approaches . . .
1) Send him a birthday card! Let him know he is not forgotten on his birthday! Find or make a simple card without layers, glue or glitter and write a personal message. Try to send 1-2 weeks before the 23rd if possible. Today would be perfect! 2) Send a birthday donation to his release fund! There is a real chance Maliki Shakur Latine will come home this fall! Believe! And contribute to his release fund to help him get on his feet! The NLG Parole Preparation Project is putting final touches on Maliki Shakur Latine’s parole packet. If you have resources to offer, such as housing or employment for Maliki Shakur Latine, please get in touch as soon as possible and let us know! We want to provide as many options as possible. We’d also like to hear from you if you are interested in visiting Maliki Shakur. Reblog, repost, retweet, and share this message with your family, friends, and community! At this time I wish to give my heartfelt appreciation and sincere gratitude for all the letters of support for my parole release that you sent to my NLG Parole Preparation Project team to be sent to the Parole Board Commissioners. As members of society and the community to which I shall be returning upon my release on parole, your letters do reflect and convey the community’s collective and diverse voices calling for my release. Indeed, a heart that would not be moved and inspired by the words expressed in each of your letters, would be deemed blind, hollow and void of humanitarian compassion. So in closing, I want each of you to know that I truly appreciate your support, solidarity, friendship and letters of support for my release. Maliki Shakur Latine in Shawangunk Correctional in front of a little mural showing mountains and crashing waves. April 2016. Call for Letters of Support for Maliki Latine’s Release on Parole! Support justice, family, and community! If you are not familiar with Maliki Shakur Latine, now is a great time to learn his story. Now is a great time to get involved and claim a victory when he comes home. Like so many people in correctional facilities in New York State and beyond, Maliki Latine has been going before the parole board year after year, with very little assistance or preparation, and little success. This time, with your help, we were able to fundraise and hire an excellent attorney to file an Article 78 over his 2014 parole denial, which will be decided on March 11th, 2016. Now we are calling on you again, for letters of support for Maliki Latine’s upcoming parole hearing in April 2016. Volunteers from the amazing and much needed Parole Preparation Project of the National Lawyers Guild, NYC are facilitating his parole package and eagerly awaiting your letters. Letters should be mailed to the NLG PPP, at the address provided in the document below, on or before February 29, 2016. Download a Maliki_Latine_Parole_Letter_Guide as a PDF file here. Download a Maliki Latine Parole Letter Guide as a Word document here. Or contact us to have the document emailed or snail-mailed to you. Please take a little time to write a thoughtful letter. Refer to justiceformaliki.org/about to review his history. After you write and mail your letter, please help spread the word about this call to action for Maliki Shakur Latine. Use hashtag #JusticeforMaliki on social media. Thank you so much for supporting this effort to return Maliki Shakur Latine to his family, friends and community! He appreciates each and every one of you and is very optimistic about this opportunity. Thank you for being part of this journey. Check out the RAPP campaign to Release Aging People in Prison for more information about aging, confinement, and parole in New York State and beyond. Scroll through the left-hand-side panel of the NYC Jericho Movement website to learn about other people of movement backgrounds who are asking for help with parole letters. Thank you so much for your love and solidarity and for growing with us in these past few months! Thank you especially to NYC Anarchist Black Cross, and to everyone who donated to Maliki Shakur Latine’s legal fund! Maliki Shakur Latine in shades at Shawangunk Correctional in October 2015. 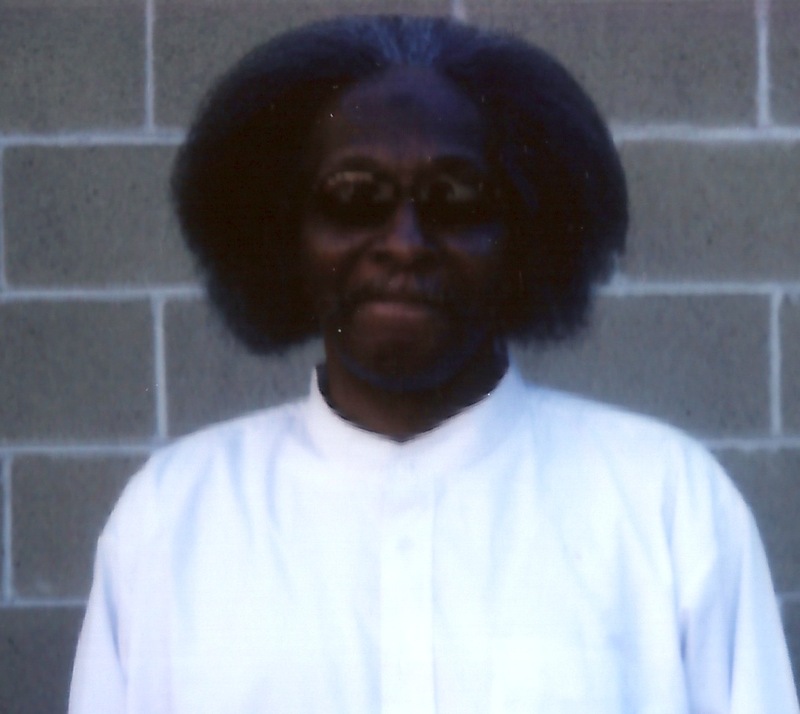 Thanks to you, Maliki Shakur Latine’s wonderful and tireless lawyer was able to file an Article 78 on his behalf in early September to challenge his unjust 2014 parole denial. Like many people in New York correctional facilities, Mr. Latine has never been able to choose his own lawyer before and it is already making a world of difference! While awaiting the result of the filing, his lawyer, family, and friends are beginning to prepare for Mr. Latine’s next appearance before the parole board in April 2016. Also thanks to you, people are finally beginning to know the name “Maliki Shakur Latine” and his story. Awareness about parole and prison injustice and mass incarceration is growing and more and more people and their stories are coming to light!